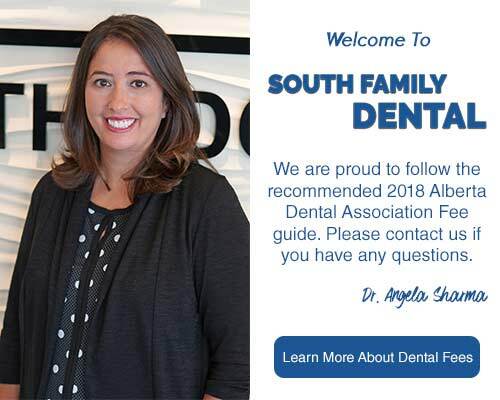 Our South Calgary Family Dentistry is provided by Dr. Angela Sharma and her dental team, to address the oral health needs of everyone in your family. Your oral health has been proven to be an important factor in your health wellness. At South Family Dental Care, we firmly believe that every patient deserves personalized care with the goal to create a lifetime of beautiful, healthy smiles! South Family Dental Care offers South Calgary Family Dentistry to provide you and your entire family with the care and education they need for a lifetime of healthy smiles. 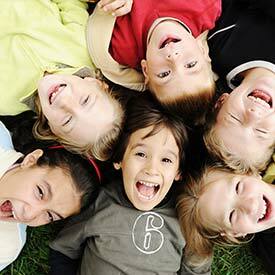 South Family Dental Care accepts patients of all ages. We take pride in creating a friendly, gentle and comfortable atmosphere for our young patients because we believe that visiting the dentist can and should be an enjoyable experience. Our team of dental providers aims to create a trusting relationship with your child because the experiences your child has with their dentist at an early age impacts how they will view dental care as an adult. Studies show that children who have positive dental experiences tend to visit their dentist on a regular basis into adulthood. South Family Dental Care invites you to tour our South Calgary Family Dentistry practice and meet our dental team before you make your initial appointment. We want you to be confident in your choice to make South Family Dental your South Calgary Family Dentist right from the start. South Family Dental Care provides South Calgary Family dentistry services such as routine cleanings, examinations, and fluoride treatments. 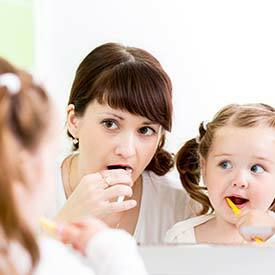 Regular dental appointments identify problems early before they become more serious. In addition to our comprehensive dental examination, we use digital x-rays of the teeth and surrounding bone to diagnose cavities and any underlying concerns that could be developing beyond the naked eye. South Family Dental Care is pleased to be your partner in oral health. Call today to make an appointment for South Calgary Family Dentistry! 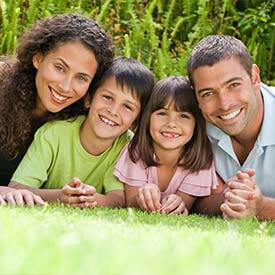 Call us at (403) 262-3235 to book your Family Dentistry consultation us today!